Classic snap back style trucker hat. 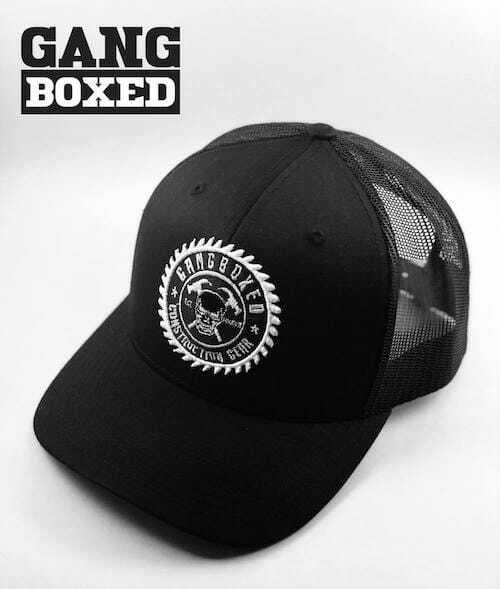 All Black with white saw blade GANGBOXED logo in the center custom stitched by PCL Fire. One size fits all. FREE SHIPPING.